If delivery is selected then 200g packs will be sent in a letter box friendly pack direct to your door via Royal Mail 1st Class post, for packs greater than 200g items will be sent by Royal Mail 2nd Class Signed for or via a National Courier Service. Click an image below to jump to a coffee or scroll down the list. Select your options then Click the "Click to Buy" button below to add to cart. A number of RFA Certified planttaion coffees, grown between1,100m and 1,200m, are brought together to produce a characteristicly smooth coffee with creamy texture, sweetness and mild spice. Everything just combines nicely resulting in a balanced and rounded coffee. Please Select a Roast Level, Pack Size and Shipping method from the above options to show pricing. 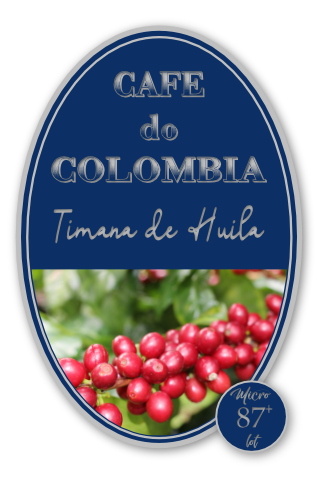 Colombia rarely disappoints, and this coffee is special by even Colombian standards. Incredibly well balanced, fruity and sweet with the characteristic mouthfeel of a great wine. 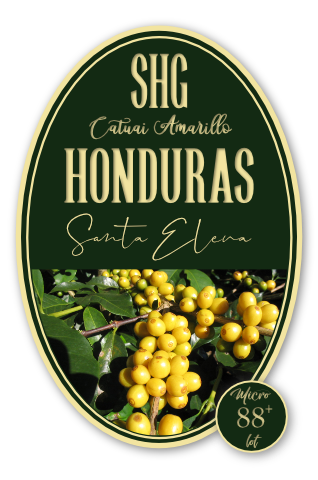 The acidity is bright and left in the mouth for a few moments opens the senses to an array of fruit flavours that are citric and orchard and tropical, creating a coffee fruit salad sensation before subsiding to a remarkably sweet and mellow aftertaste. 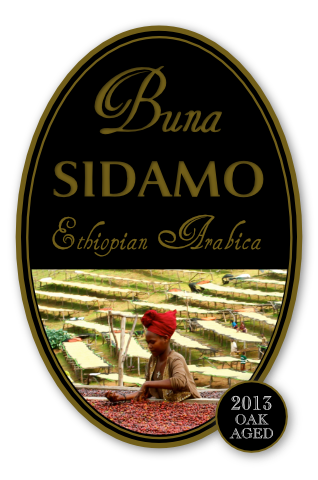 Ideally balanced between acidity and body, this high quality Sidamo coffee has pleasant citrus notes, a clean finish with floral lemony beginnings fading to a malty sweetness with hints of liquorice. Not surprisingly, this coffee has a chocolate taste, a rich Belgian chocolate that immediately hints at the quality of the cup. There is a winey note and caramel sweetness that lingers on the palate. Fruits and florals lurk in the mouth, plum and ginger popping up occasionally mixed with hints of black cherry and maple cream. The aftertaste is decidedly mellow. This is a smooth delightful coffee, ideal for mornings. Tasting "the very best of the very best" is always a delight. 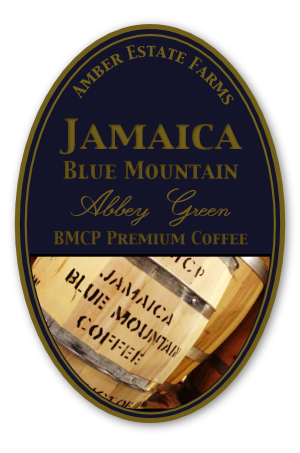 The distinct lack of bitterness, low acidity, balanced flavour and smooth milk chocolate finish with an intense coffee aroma are the hallmarks of 100% Jamaican Blue Mountain coffee. This is a coffee that should not be over roasted (218-225 Deg C) and it is best brewed by gravity percolation. 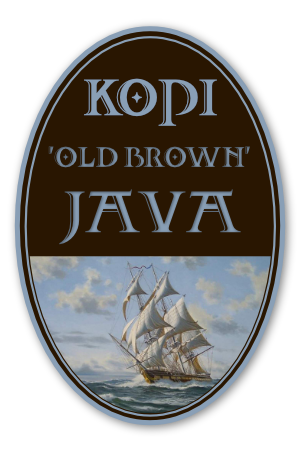 Sweet caramel, rich fruits and milky chocolate dominate but this is a complex coffee and there are hints of sweet spices like vanilla and cinnamon laced with a beautiful mellow nutty tone. 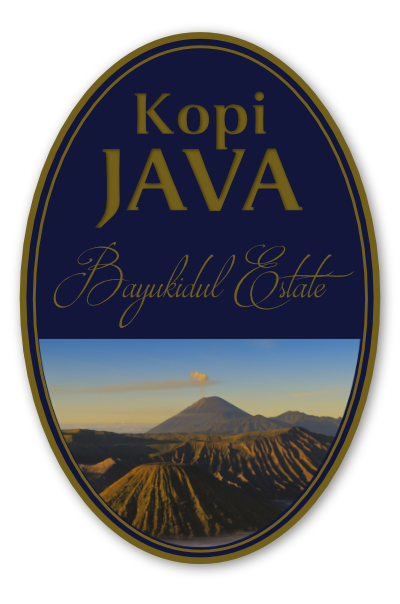 Stunning example of Java Estate coffee. 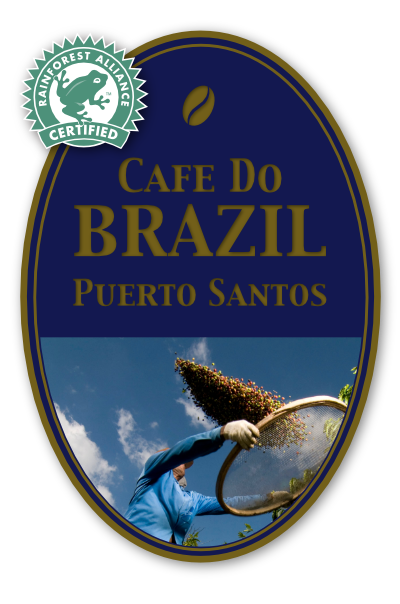 Grown alongside fruits, sugar cane and clove plantations, this coffee offers a great balance of earthy tones, mixed fruits and sweet spices, it is smooth and elegant with a balanced body. Sit back and enjoy luscious hints of spice in the Indonesian Old Brown Java single origin coffee. Aged for 6 years, a thrill for all coffee lovers. With notes of spice, subtle acidity and an aftertaste of rich fruits and molases, this is a multiplex coffee, that will stimulate the consciousness. This single origin coffee is from Indonesia. 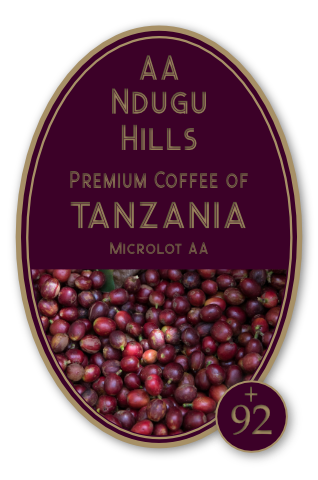 Outstanding coffee grown at high altitude (1,245m-1,580m) the crop is consistently receiving high acclaim. 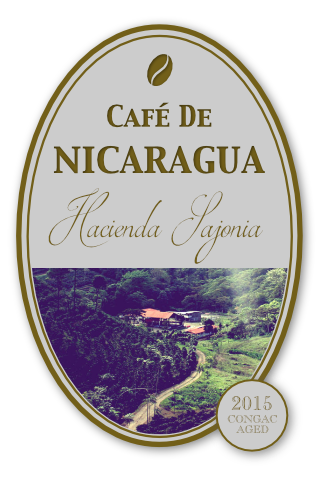 With 200 acres of coffee production on the farm, and its own wet mill, Haciends Sajonia produce coffee with bright acidity, caramel sweetness, orchard fruits and hints of chocolate. An extremely difficult coffee to roast, the bean benefits from a slightly high roast (230 Dec C+) but the roaster must be hugely skilled and not remove or evaporate the essential oils at high temperature. At the slightly higher roast the coffee displays strong hints of wood, it has a delightful earthy aroma with sweet tobacco and winey notes. Roasted lower it brings out sweetness and fruit. The cup is consistent and balanced with low acidity and you should notice chocolate and spice undertones. A remarkable coffee that makes an amazing espresso and excellent filter coffee. The sweetness is complex, like roasted nori and caramel. At a medium roast, citrus and orchard fruits such as lime, green apple and oranges are evident. The spice is vanilla and there is a taste of cashew butter lingering alongside toasted sesame and hints of butterscotch. Every mouthful is a joy and the after taste is sweet green herbal tea ice cream. 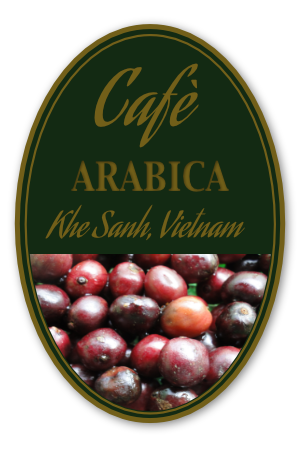 Peppery spice, earthy tones and sweetnesss are the hallmarks of our Vietnamese Arabica. But there is also suggestions of floral that mask its Asian origin. Hints of cocoa linger and there is a malty sweetness. The coffee is well balanced and can be roasted quite highly, bringing out more woody tastes. 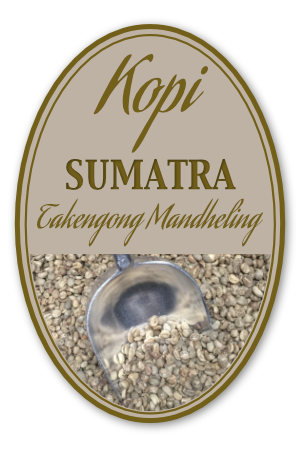 We would recommend roasting this coffee to 225 Deg C to retain sweetness, fruits and florals. There is a hint of pear like fruits and this coffee improves each year with ageing in oak. In the unlikely event that your chosen coffee is not available, we reserve the right to substitute a similar coffee of equal or greater value.